This article appeared in the print edition of Club Business International in September 2018. New-concept upright and recumbent bikes are as exciting as they are essential to the health club experience. Though each year they face clever new competition, classic upright and recumbent stationary bikes remain as essential, as integral, to a club’s success as its doors, walls, and floors. They manage to do so by consistently providing a high-quality, results-oriented member experience ... and by constantly fine-tuning, refining, and upgrading. Matrix Fitness, SportsArt, TRUE Fitness, Life Fitness, Sunny Health & Fitness, and other IHRSA associate members continue to improve upon a near-perfect product category. To simplify serviceability, Matrix Fitness locates the electronics on its upright and recumbent units under frame panels that can be easily removed for cleaning, diagnosis, and repair. The frames of the bikes feature top-down levelers and a lift handle to make them easy to move. And, by using the Virtual Active option, members can pedal their way down paths in different popular places around the world. 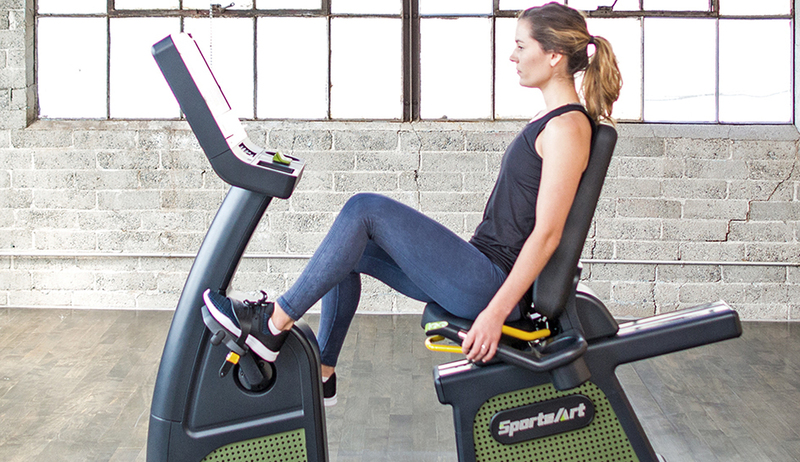 SportsArt’s new, reimagined Status line of uprights and recumbents boasts clean, elegant, and intuitive designs, and features the company’s unique ECO-POWER system, which promotes sustainability by transferring energy generated by exercisers back into the power grid. TRUE Fitness has outfitted its stationary bikes with an updated user interface, with a 16-inch Envision Premium touchscreen, that provides user profiles, exerciser connectivity, service accessibility, and asset management, and, eventually, will make use of artificial intelligence (AI). Life Fitness’ LifeCycle bikes exemplify the impact of technology. The unit’s Discover SE3 HD console allows exercisers to explore courses all over the world, or to play virtual reality games while working out. In addition, the company’s new Halo Fitness Cloud integrates with more than 130 apps and wearables to track and manage an exerciser’s activity both inside and outside of the club. “Innovation is going to continue taking place with respect to console technology,” says Lauren Platt, a spokesperson for Life Fitness. Depreciation, or "maintenance capex," is a real expense in the health club industry. Here's what you need to know.